For centuries, restorative therapies for illnesses such as cancer, diabetes, Alzheimer’s and cardiovascular diseases were the focus of most medical research and big pharma companies. However, interest in personal well-being and longevity is on the rise. 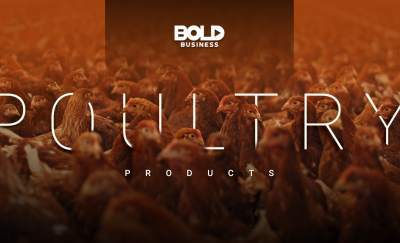 Therefore, it is not surprising that a number of large well-known companies latched onto the idea over the past two decades and started producing innovative products. There success is also leading to a growing number of startups that are focused on disrupting this market. From the U.S. National Institute of Aging, Felipe Sierra—Director of the Division of Aging Biology—actually points out, “In the last 20 years, this field of research on aging has exploded.” The reason for this is connected to the aging population of the world. Succinctly, experts say that aging—or growing old—is a primary risk factor for major socioeconomic problems and for most human diseases. In point of fact, researchers predict that by 2050, humans will live longer. They say that life expectancy to be up to 94 for women and up to 86 for men. With a future that predicts a population with an older demographic, longevity research and anti-aging breakthroughs become more imperative than ever. Big pharmaceuticals such as Novartis and Celgene—as well as the pharmaceutical arm of Johnson & Johnson—are directing their interest to this up-and-coming field and longevity research. On the other hand, anti-aging startups like Calico, Unity Biotechnology, resTORbio and Celularity are gathering force and leading the way toward this longevity research revolution. For decades, the pharmaceutical industry focused on understanding and discovering drugs that solve specific medical problems. 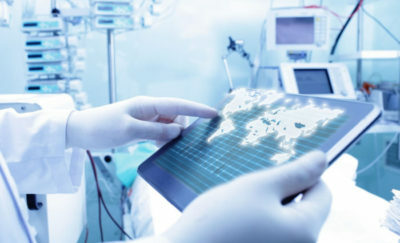 The industry’s general direction was towards the discovery of the next blockbuster drug that can treat cardiovascular diseases, diabetes, and nervous system illnesses. Longevity research has not been the priority of established pharmaceutical companies. Despite this general direction, a handful of pharma giants have decided to dip their toes in the study of aging and longevity. 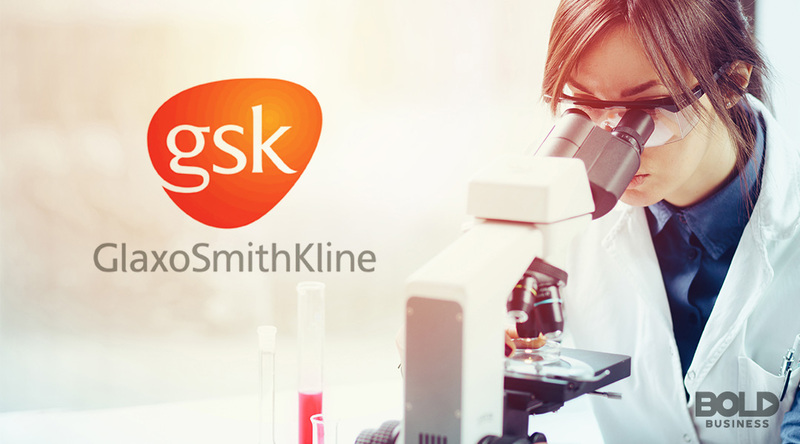 In April 2008, GlaxoSmithKline (GSK) announced the acquisition of Sirtris Pharmaceuticals Inc. to boost the company’s research around the aging process. While GSK had to shut down Sirtris after five years, this setback has not deterred other pharma giants from starting their own longevity research. 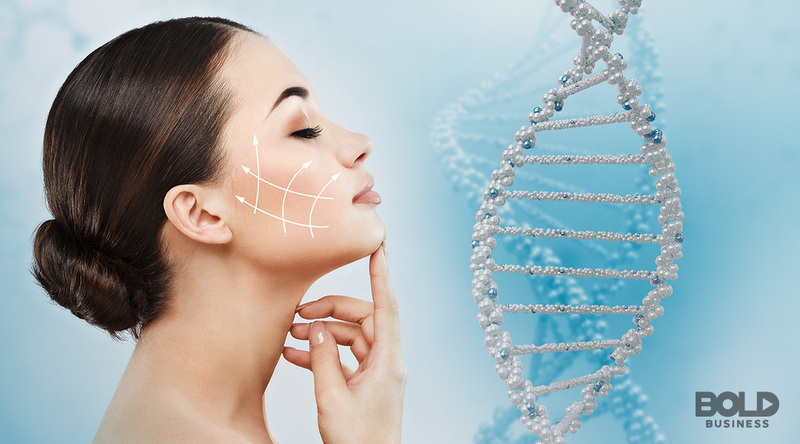 For instance, Allergan, maker of BOTOX®, is one of the top leaders in developing products that address skin-aging. Even pharmaceutical giant, GlaxoSmithKline is delving in the longevity research revolution. Conversely, Novartis contributed significantly to the longevity research. In December 2014, the company published a study revealing the astonishing effect of rapamycin in the anti-aging process. Volunteers aged 65 and older received multiple doses of rapamycin. Subjects showed significant improvement in their immune response after a certain period of weeks. The study also opened doors for continuing studies in delaying aging-related diseases. Last March 2017, Novartis announced a deal with Pure Tech Health. With Pure Tech Health taking over two-clinical stage programs of Novartis aimed at understanding aging-related disorders. Other pharmaceutical giants joining the anti-aging quest and longevity research are Celgene and the pharmaceutical segment of Johnson & Johnson. Celgene has been advancing Celularity’s anti-aging studies while Johnson & Johnson has been funding PowerVision—a startup focused on age-related ophthalmological disorders. However, this is just the beginning of the list. The shift towards preventive medicine has given anti-aging startups a favorable environment in pursuing longevity and aging issues. Anti-aging startups are tackling the aging process through pharmaceuticals, regenerative medicine, caloric restrictions, and dietary supplements. resTORbio is a subsidiary of Pure Tech Health—the company that took over Novartis’ two-clinical stage studies. With a $65 million funding they gathered in November 2017, the company is focused on developing therapeutics for the treatment of aging-related illnesses. Celularity is another major player joining the foray for longevity research. A spinout of Celgene, this startup has been able to secure a total of $290 million in funding since its founding in 2016. The company focuses on creating therapies around autoimmune and degenerative diseases—brought about by aging—, immuno-oncology, and functional regeneration with the use of placental stem cells. Calico is the research and development arm of Google with a mission of understanding the natural forces that control longevity and lifespan. Recently, Calico has unveiled a partnership with pharmaceutical giant, AbbVie, in a collaboration to bring new therapies for age-related diseases and cancer. Unity Biotechnology’s mission is centered on extending the human healthspan by designing drugs that help a person functional and free from diseases related to aging. The company was able to raise more than a total of $300 million in funding—especially with Amazon’s Jeff Bezos and PayPal co-founder Peter Thiel as investors. The company has already moved to push a phase one trial for osteoarthritis. Samumed stands out among the ranks of anti-aging startups. With a $12 billion valuation and total funding of $650 million as of August 2018, this biotech seems to be an investor favorite. The company is focused on WNT Pathway and developing therapeutics addressing degenerative diseases. Samumed currently has eight programs in the pipeline including clinical treatments for androgenetic alopecia (hair loss) and osteoarthritis. Anti-aging startups like Calico, Unity Biotechnology, resTORbio and Celularity are leading the way toward this longevity revolution. Founded in 2014, InSilico Medicine is a deep learning drug discovery company focused on developing products that target senescent cells. The Baltimore-based company advances AI solutions for biomarker development, personalized healthcare, and anti-aging intervention. Prellis Biologics Inc. is one of the anti-aging startups that are delving into regenerative medicine. This biotech company is a human-tissue-and-organ-engineering company. It is able to develop a technology that allowed laser printing of vascularized human tissue and organs. Thus, revolutionizing human tissue engineering. Soon, patients wouldn’t need to wait too long for organ transplants. ZERO is an iPhone app that aims to track fasting time to optimize the body’s energy metabolism. Kevin Rose, a Silicon Valley “prince” or tech icon, invented the app. ZERO was created based on the time-restricted eating patterns known as “intermittent fasting”. The startup recently received $1.2 million in seed funding from investors. 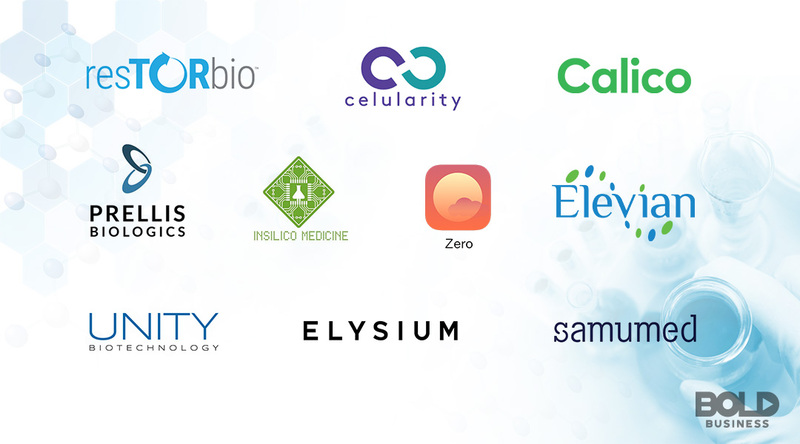 With a total of $31.2 million in funding, Elysium Health Inc. is a life sciences company that focuses on cellular dietary supplements. With NAD+ or nicotinamide adenine dinucleotide supplements, Elysium Health seeks to prolong people’s lifespans. Elevian’s focus is to treat and prevent age-related diseases by restoring the body’s regenerative capacity. Using GDF11 or “growth differentiation factor 11″—which is a naturally-occurring molecule—, the company is looking at creating GDF11 supplements to reduce diseases related to aging, hasten muscle and bone repair and improve brain function—to name a few. Companies, leaders, and experts in the field must look at the topic of aging—straight in the eye! It’s true that research and studies around longevity and age-related diseases only emerged recently. Nonetheless, with an aging demographics, society should take steps in helping improve people’s quality of life. Longevity and vitality should come hand-in-hand. We can no longer settle on reactive technologies and methods that merely address age-related diseases. To prepare for this demographic shift, we must take bold, radical measures. Fortunately, and appropriately, pharmaceutical giants and anti-aging startups are surely taking bold, significant steps to respond to the challenge.